It’s been decades since android been introduced to us. Lots of sweeter versions with lots amazing features. Every version comes with a sweeter name and some alluring features. Everybody loves the names given to the different versions of android but no one knows the story behind this sweet gesture. Basically a long time ago before working for Google, the father of Android Andy Rubin worked for the Apple Company. For his love for the robots, his co-workers nicknamed him as ANDROID. And his love for the desserts he kept the names of different version after the sweetest desserts. There is a thing which some of the Android lovers haven’t noticed. Which is the entire android version are in an alphabetical order with the first one starting with D and recent one starting with M.
To refresh your android memory, we have decided to take a walk in the android memory lane and see how Android has evolved around these years. Donut 1.6 was introduced on September 15th, 2009. This introduction has brought a new perspective towards Smartphone. Android 1.6 has enabled the users to have a new look with screen rotations. It somehow enables applications to be viewed on different display resolutions. Android version donut includes support for CDMA and GSM. The Quick search box introduced the new way of handling the interface. It allows its users to get easy access to any application and features straight through your home screens. Whether you are searching for something in the phone’s interface or on the web the quick search box is handier than ever. Even rather than typing, you can search with voice controls. Donut 1.6 includes a text to speech feature which enables the users to get access to multilingual synthesis. 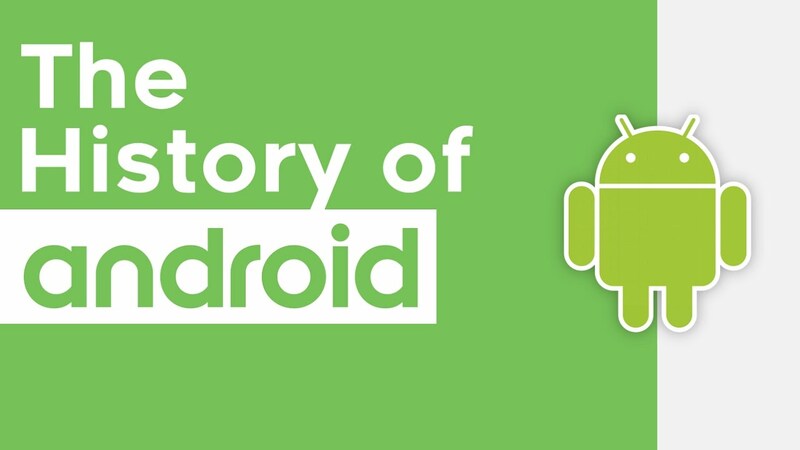 The history of Google play store was an android market which was introduced by the donut. Éclair 2.1, the android codename was introduced to the tech industry on 26 November 2009, Éclair has introduced the new feature of multi-touch. With this multi-touch features, the interface can trace up to 3 fingers at the time. With the multi-touch feature, came the introduction of the concept of zooming and scrolling. Android 2.1 has a secure a single interface which allows the access to multiple online contacts. The Éclair has given the introduction to the sensitive touch buttons to go back and home. It has also introduced to super cool features with the camera including zoom, camera flash etc. The Froyo 2.2 version was introduced on 20th May 2010, with froyo came the introduction of voice assistance. This feature allows users to get access to set alarms, Get directions, making notes and many more with voice commands. The froyo 2.2 brought the new concept which converted your device into a portable Wi-Fi hotspot which allows its users to stay connected in terms of sharing files and documents. Last not least froyo made devices to perform 5x faster. Gingerbread was released on December 6, 2010. With gingerbread came the features like 3D graphics which brought the Android gaming to new heights. The android version 2.3 brought an introduction to NFC (Near field communication) which lets its users transmit information within devices just bringing them adjacent to each other within a tab. Gingerbread allows its users to get notified by the usage of battery. Honeycomb version 3.0 was released on February 22, 2011. Honeycomb was brought to light for the tablets. Somehow it enhanced your watching movie and gaming experience. Honeycomb has cut up the use of manual going back to the home key, with a touch you can go back home. Ice cream sandwich was to the industry on October 18, 2011. Ice cream sandwich was introduced to give its users a better manual to keep your applications into folders or favourite tray which lets the users have a hassling free experience. This Version allowed its users to get the track and control the data usage which also disables your service if you reached the maximum limit. The concept of the Android beam was made under this version which allowed its users to share applications, NFC. Jellybean 4.1 was released to the world on July 9, 2012. The access to new delights was made under this version with the concept of Google now. Google now allows its users to get information about the weather and other stuff. With jellybean, your notifications alert into your notifications window and also allow its users to get access to the notifications even from the notification panel. With home screen customizations it’s also allowed its users to get access to multiple accounts. On October 31, 2013, the introduction of Kit Kat was made. The Kit Kat version brought the concept of “OK GOOGLE” hands-free assistance which works on voice commands. The android version 4.4 brought reading and watching experience to new heights. Lollipop version 5.0 was released on November 12, 2014. Lollipop was introduced to make your android experience richer by enhancing the prime design and giving its users easy access to the things present on their devices. In terms of enhancing experiences, Lollipop somehow gave its users access to bring their small screen into big screen by screen sharing’s which connect with TVs and devices. And with the lollipop version, the accessibility to the notifications was also enhanced. Last but not the least Version 6.0 marshmallow was released on October 5, 2015. The latest version marshmallow allows its users to get access to everything with few taps. This feature allowed its users to get access to different things happening on your device without leaving the actual thing you are doing. With marshmallow 6.0. The privacy of the device was in the hands of the users, which allows its user to define which applications get access an which not.